A San Bernardino Sun opinion piece authored by a veteran that does not want to see his country's natural heritage bulldozed for hastily considered industrial development is included at the bottom of this post. 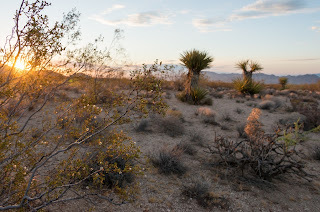 As I have noted in previous posts, the Mojave Desert has inspired generations of Americans, including the droves of US service members who have trained here. 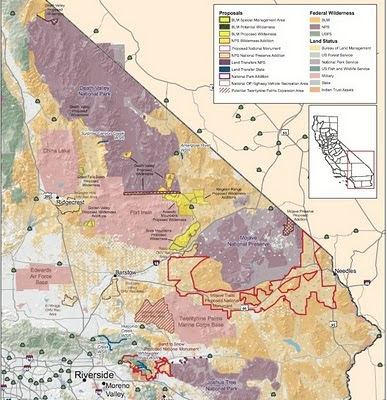 Ironically, some of the opponents of Senator Feinstein's California Desert Protection Act of 2010 (CDPA 2010 or S.2921) claim that efforts to protect desert wilderness from industrial development could also hinder the Department of Defense's ability to adequately prepare our troops. (for an example, read here) I think this claim is probably a cheap way to veil some policymaker's attempts to protect energy companies' attempts to develop public lands, rather than preserve DoD's efforts to maintain national security. According to the website for the Senate's Committee on Energy and Natural Resources, which is conducting a hearing on 20 May to consider Senator Feinstein's proposed California Desert Protection Act of 2010 (CDPA 2010 or S.2921), the Committee currently does not have any witnesses lined up to testify for or against the legislation. Obviously this could change over the next couple of weeks and I'll keep you posted. It appears that the Committee regularly provides live webcasts--or at least archived webcasts--of its hearings. Although this means West Coasters will need to wake up at 6:30AM, it will spare you the flight to DC! Here is the link for the Committee website and you can find the "live webcast" button on the right side of their page at the bottom of the list of options. 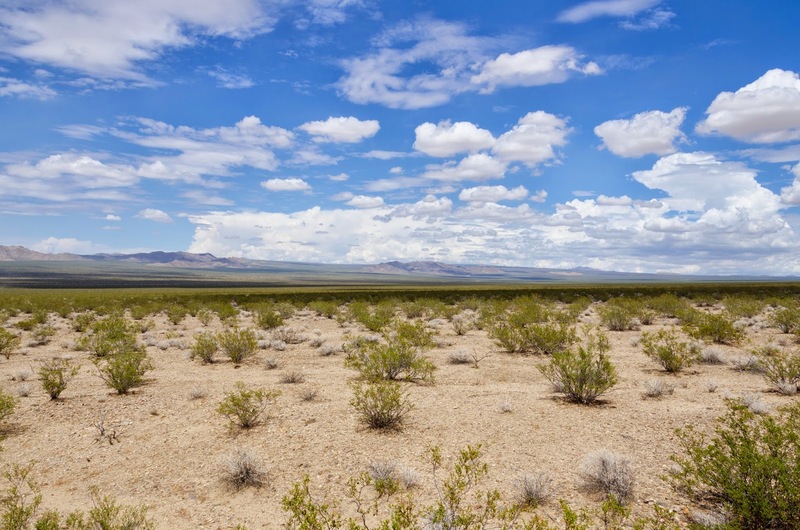 Senator Feinstein's proposed legislation to protect hundreds of thousands of acres of desert wilderness, and streamline renewable energy mitigation procedures--the California Desert Protection Act of 2010--is scheduled to be examined by the U.S. Senate's Subcommittee on Energy and Natural Resources this month. This is a crucial first step for the bill, which was introduced in December. (You can read my previous post on the hurdles that the legislation faces). The committee could report the bill "favorably" or "unfavorably" to the Senate, at which point the Senate leadership would have to decide if and when to put the legislation up for a full vote. With such a busy legislative calendar this year, a full vote for CDPA 2010 is not assured. Also, the committee could fail to report the bill, or debate could begin within the committee on how to alter the legislation before it is reported to the full Senate.